Dr Deborah Cohen is a hugely experienced writer and editor having edited academic sections of The BMJ and written for publications including the Telegraph, the Guardian, BBC Online and Index on Censorship. She has reported about health and science from variety of places including Ethiopia, Kenya, Ghana and the Palestinian territories. As The BMJ’s first investigations editor – the first of its kind on a medical journal Deborah was charged with establishing the journals reputation for conducting in-house and collaborative investigations with major broadcasters, print and online media. The role meant she has been working at the interface of the mainstream media and academia conducting high impact investigations that combine rigorous data analysis with journalism. Deborah has also helped develop new print and online content – including video and podcasts – for The BMJ when relaunched in 2006 and edited an academic section of the journal helping experts develop and present their work in a digestible and accessible way. She has edited work that spans health and the topics she has written about range from food and drink through to research integrity, drug pricing and medical implants. She has also covered the NHS, criminal justice system and other social issues. Her journalism has been widely cited by other journalists as well as experts and she’s as comfortable explaining complex research to a prime time audience as she is to academics and policy makers. 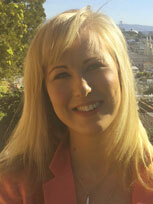 Deborah has also edited, researched and written reports for different organisations such as Transparency International. Deborah is also an experienced speaker presenting health and media related topics as well as subjects covered in her investigations in an engaging way. She has also appeared on panels discussing a range of topics from device regulation to fake news for the likes of the European Parliament and the European Health Forum. Deborah is often asked to give media perspective on health related issues most. She’s given keynote talks at events across Europe and the US for a wide range of audiences of all ages, from school pupils to medical conferences and journalism and writing events. Deborah has also given seminars to doctors and medical trainees – including primary care and public health doctors – as well as medical and journalism students at universities including Oxford, King’s, Imperial and City in the UK and Dartmouth College and Bordeaux University internationally. Deborah has hosted high-profile events, symposia, meetings and panel discussions for a wide range of organisations across the UK and Europe. Her experience in broadcasting and journalism means she can be as relaxed or assertive as the situation demands. Deborah is able to manage disagreement bringing in different perspectives from the panelists and also the audience.